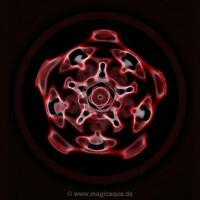 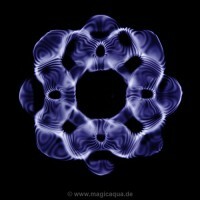 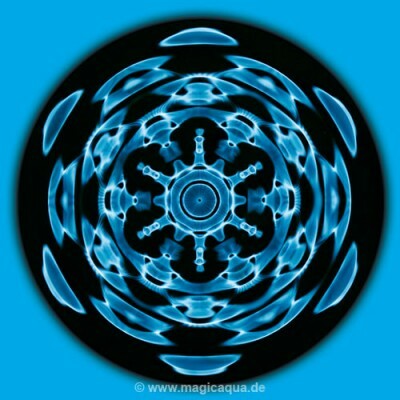 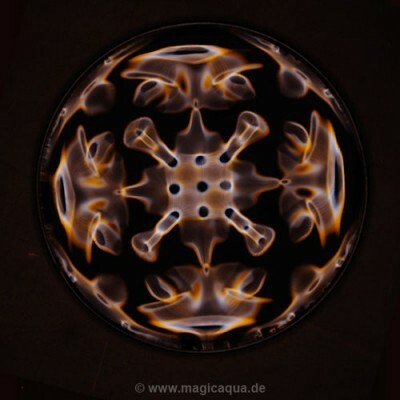 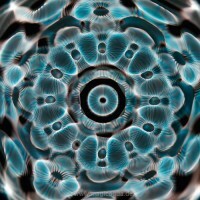 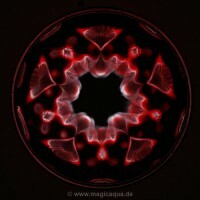 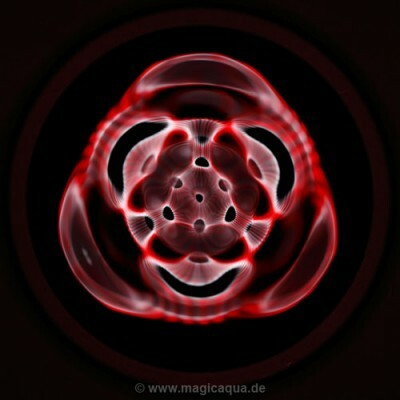 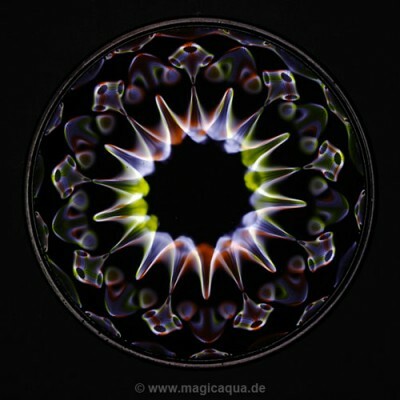 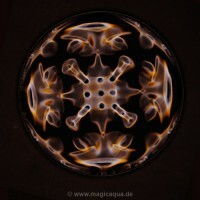 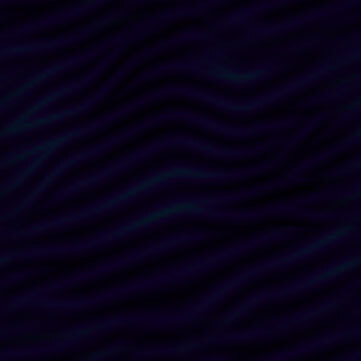 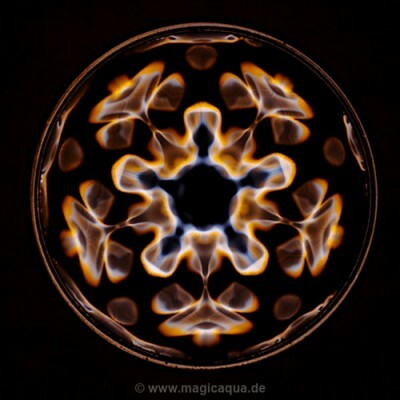 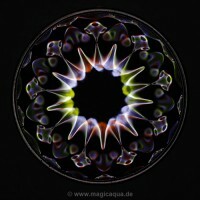 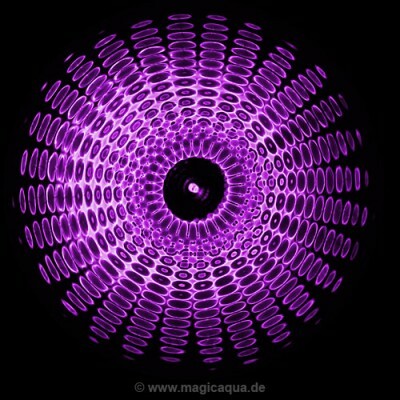 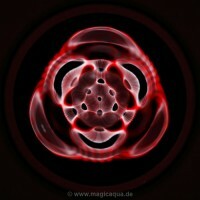 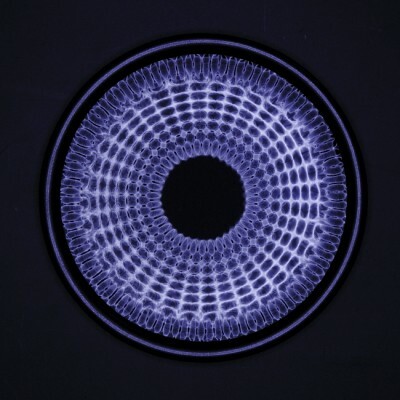 These images show "standing waves" which are created by using a signalgenerator. 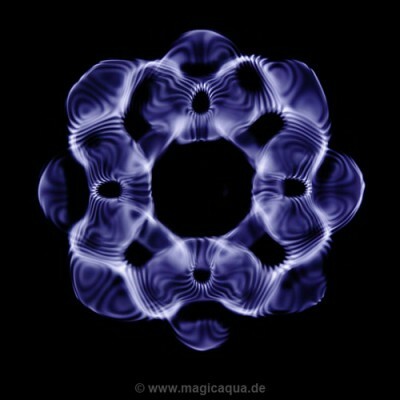 Here you see the most clear "chladni figures". 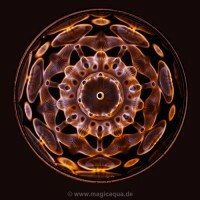 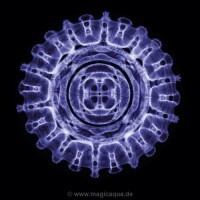 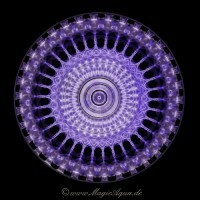 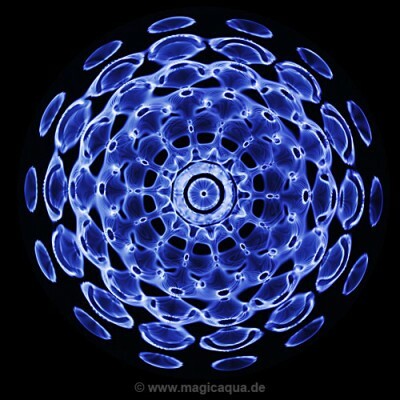 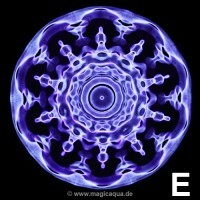 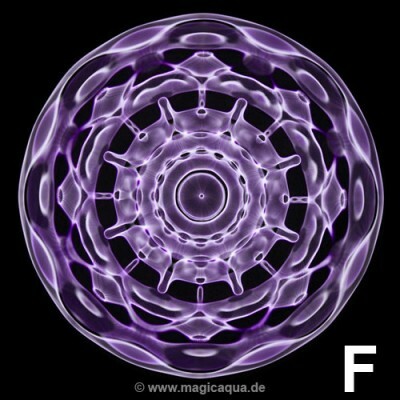 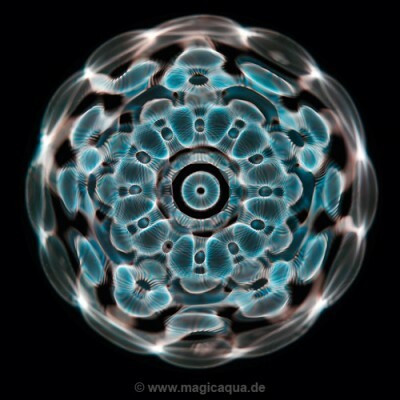 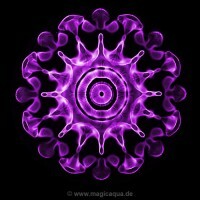 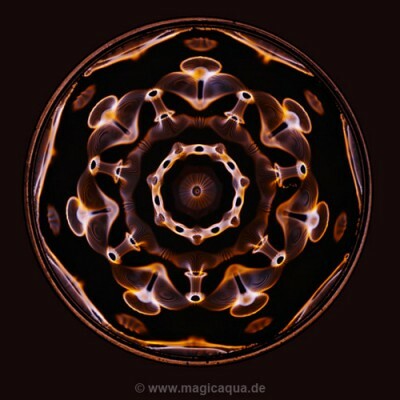 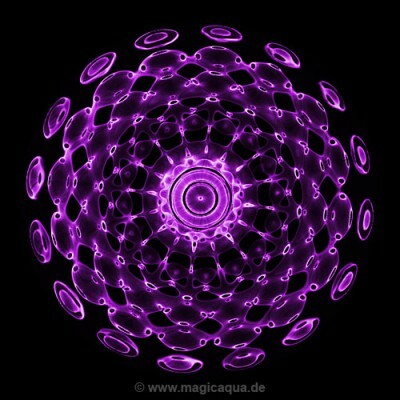 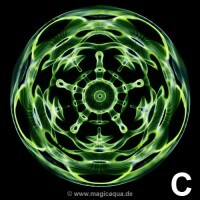 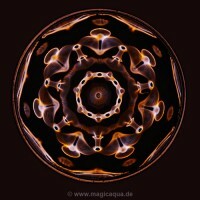 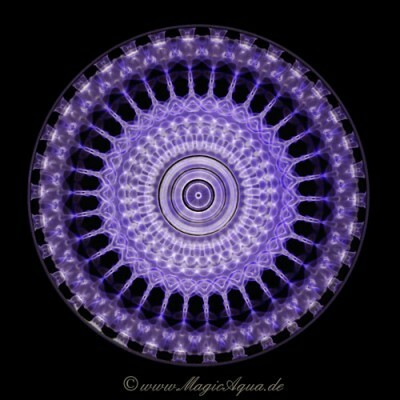 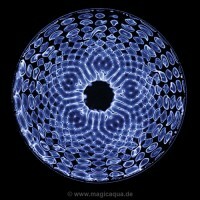 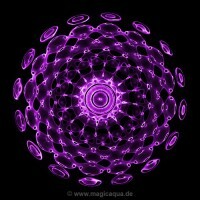 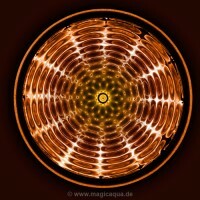 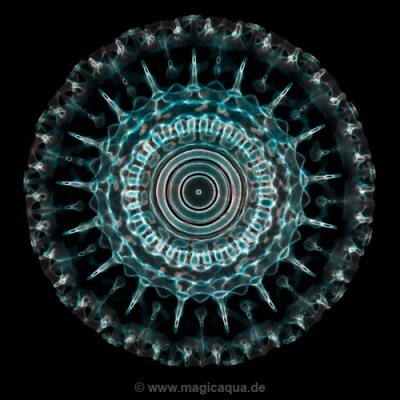 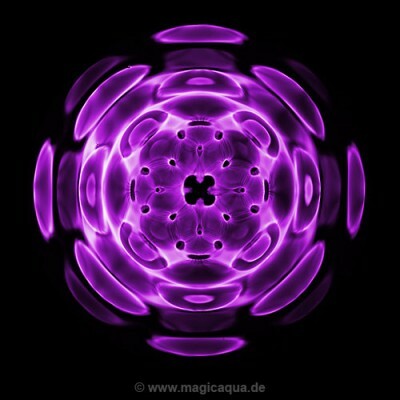 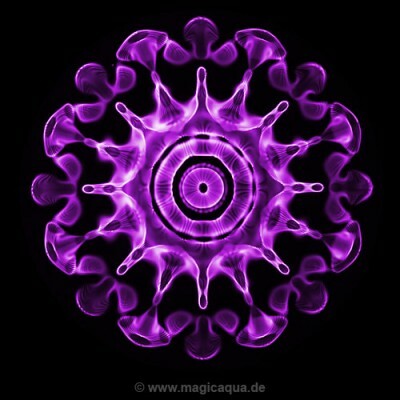 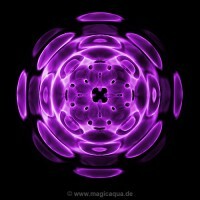 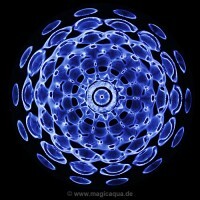 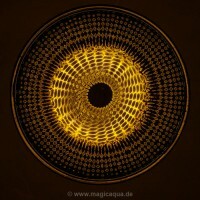 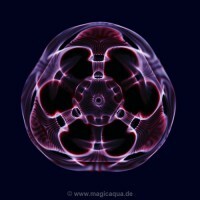 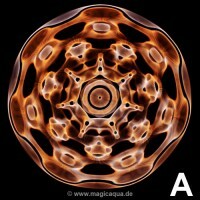 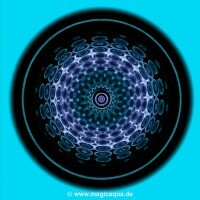 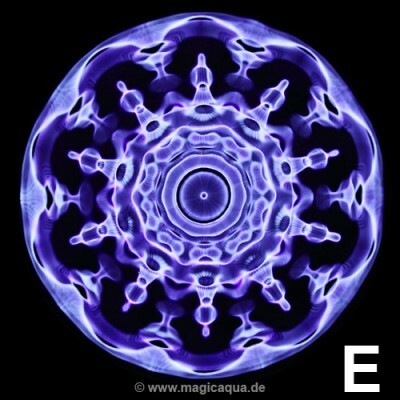 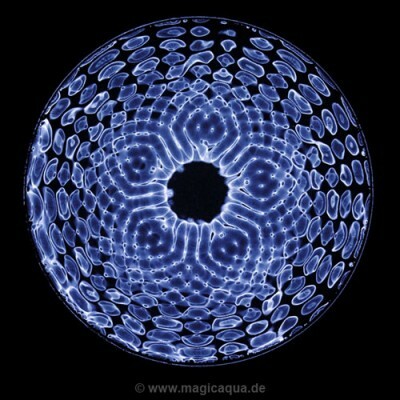 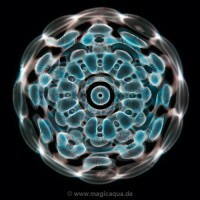 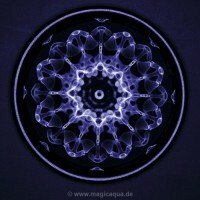 Single frequencies are absolute pure sounds without overtunes like they appear at music or voices. 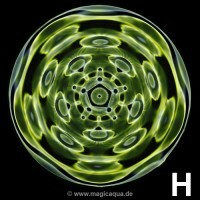 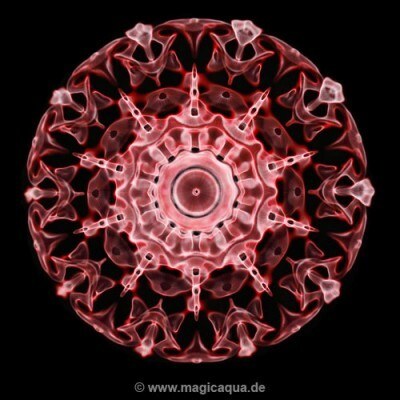 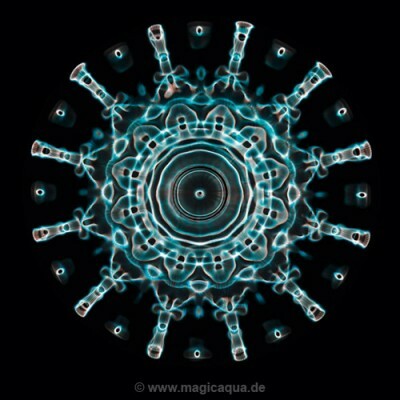 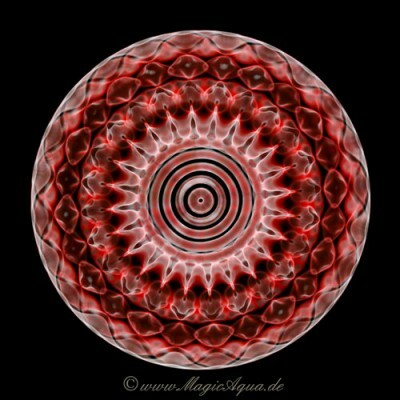 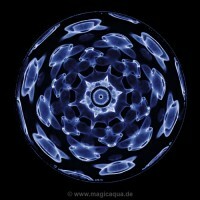 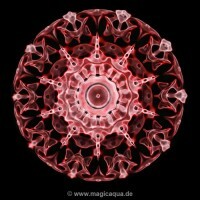 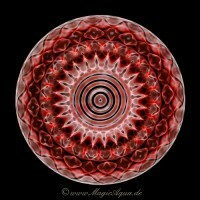 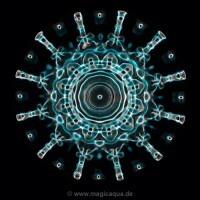 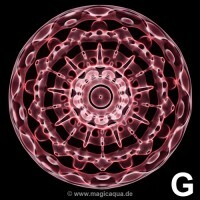 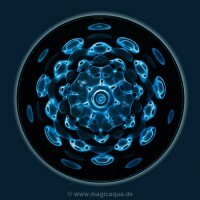 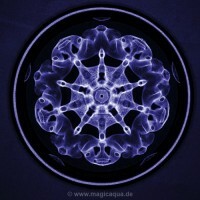 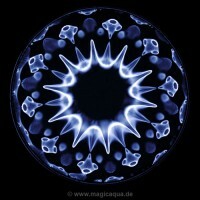 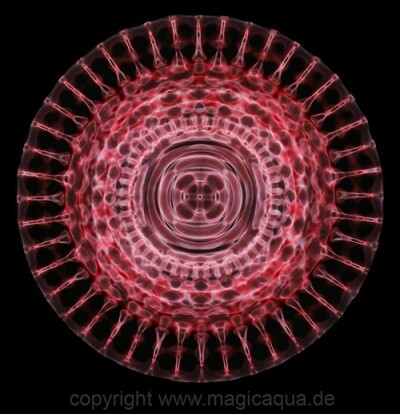 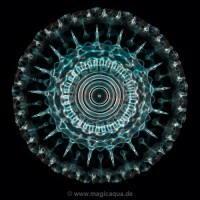 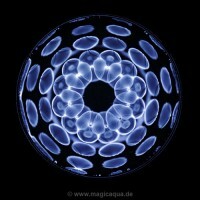 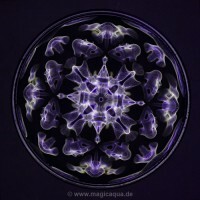 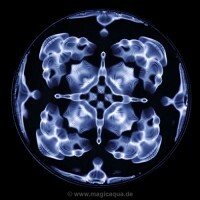 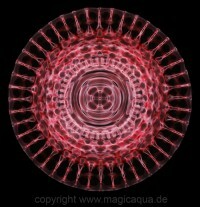 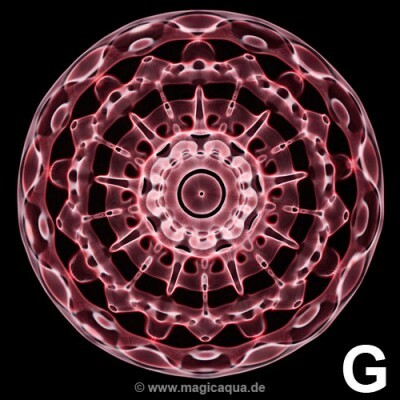 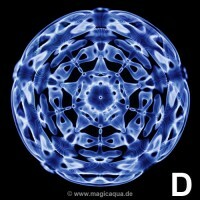 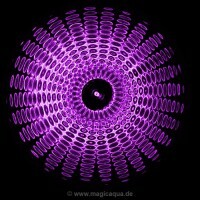 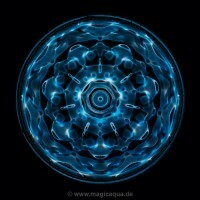 I use different sizes of water bowls so it might happen that a similar figure occurs at different frequencies. 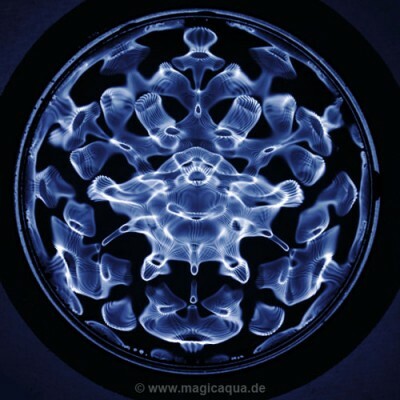 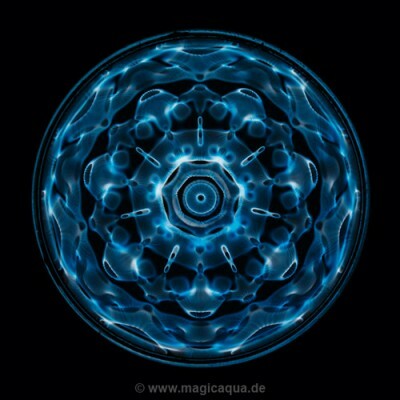 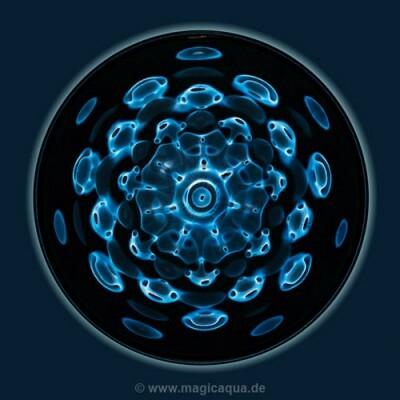 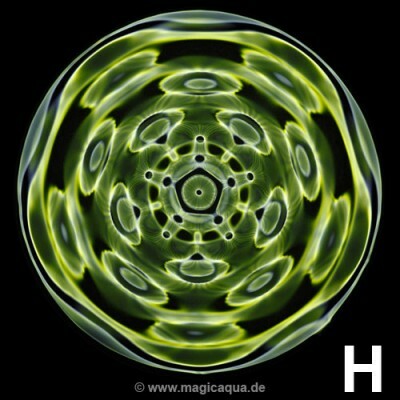 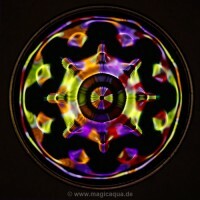 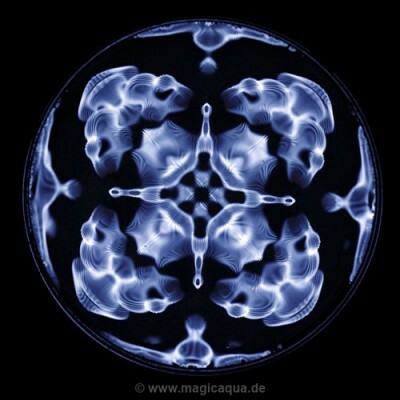 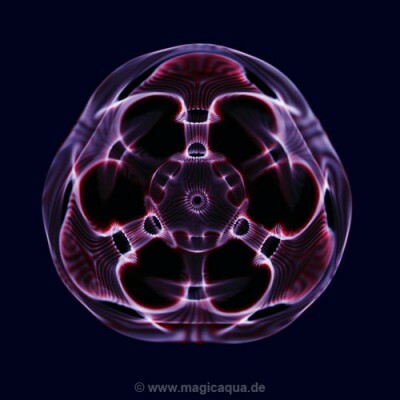 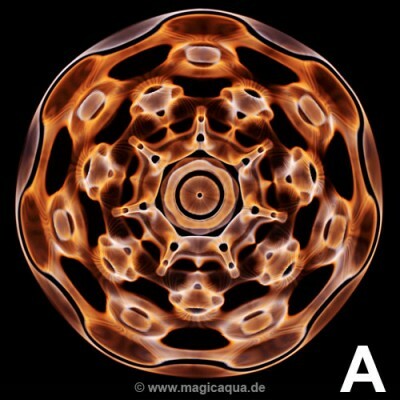 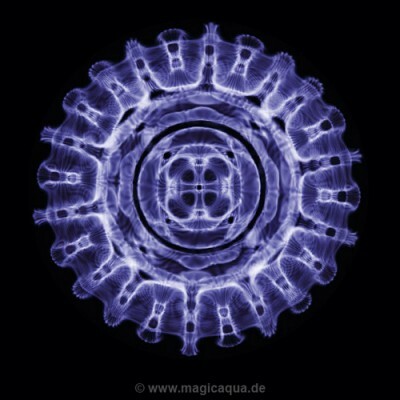 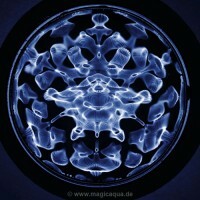 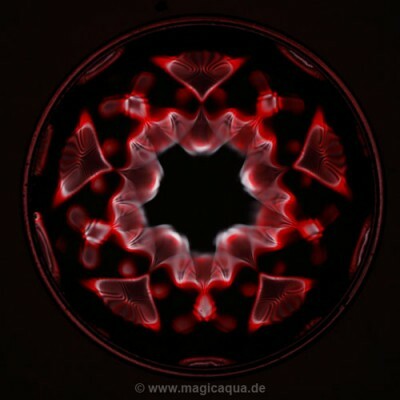 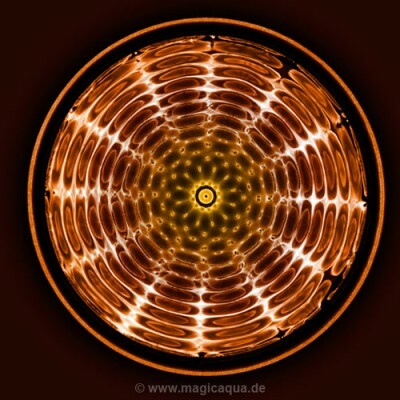 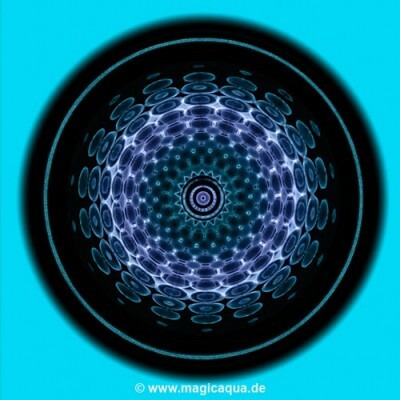 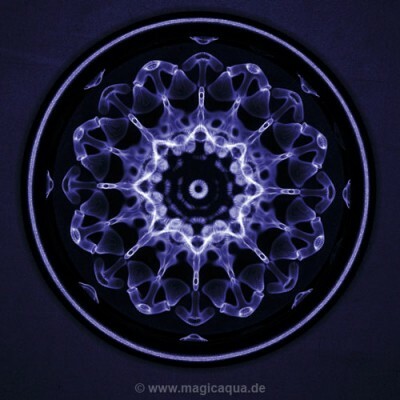 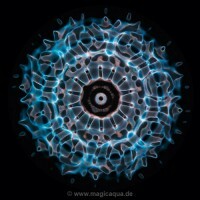 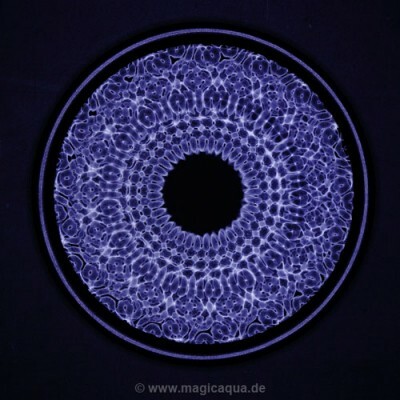 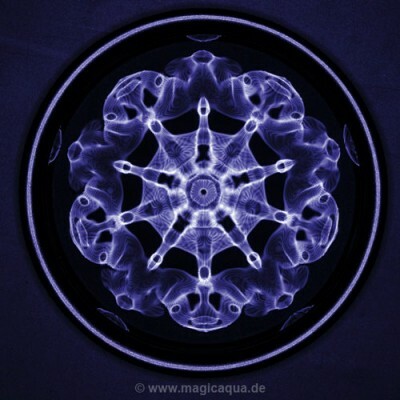 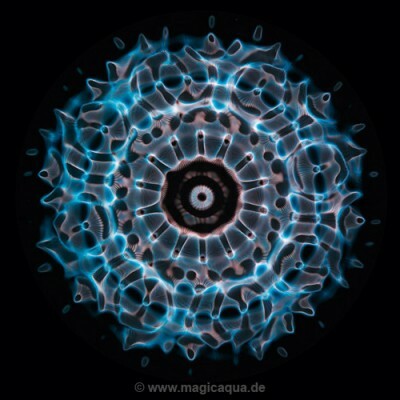 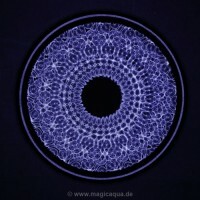 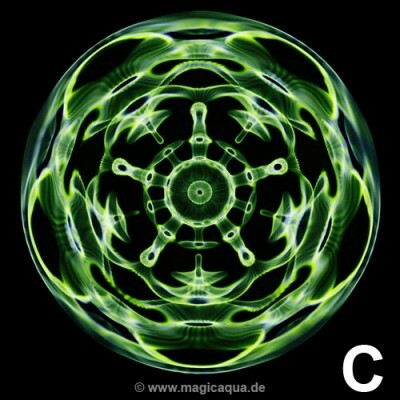 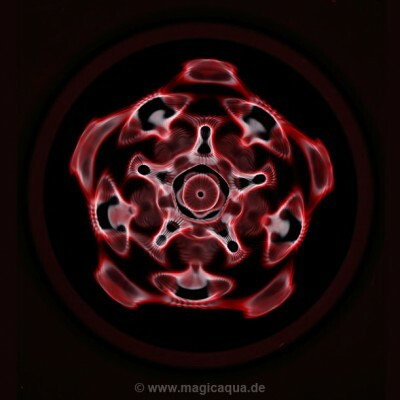 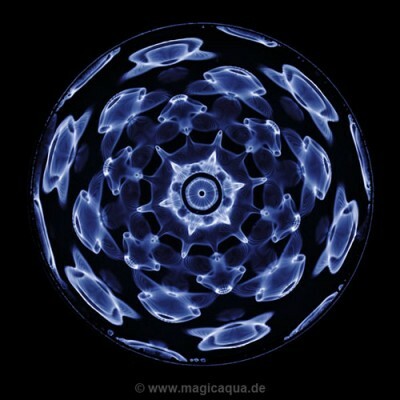 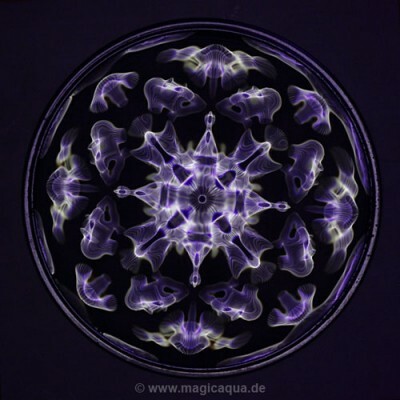 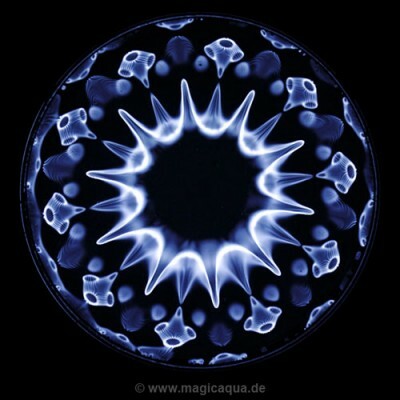 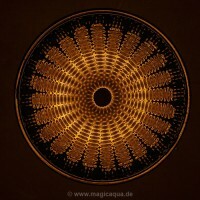 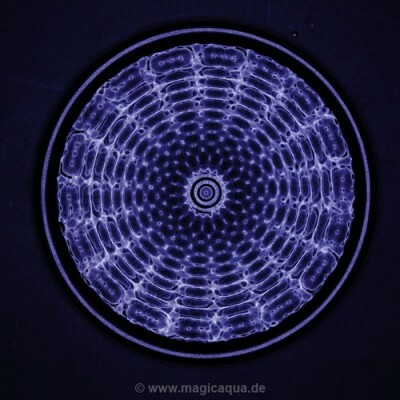 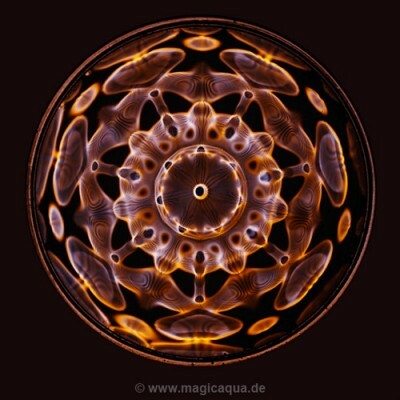 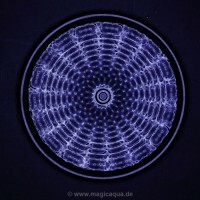 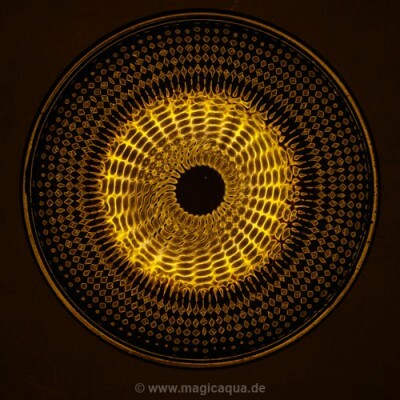 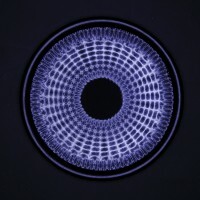 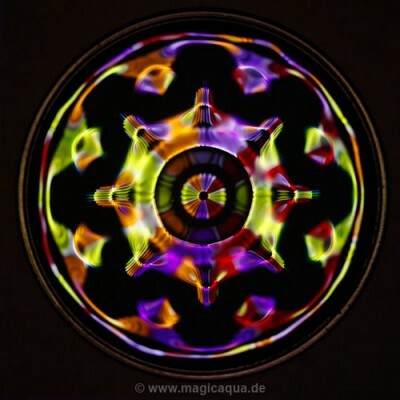 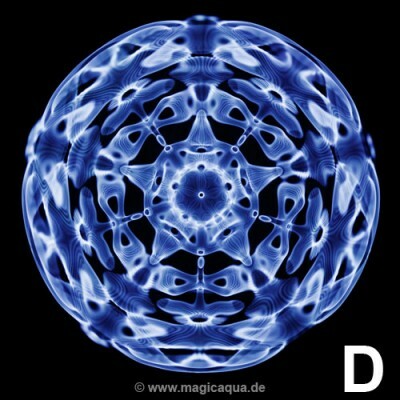 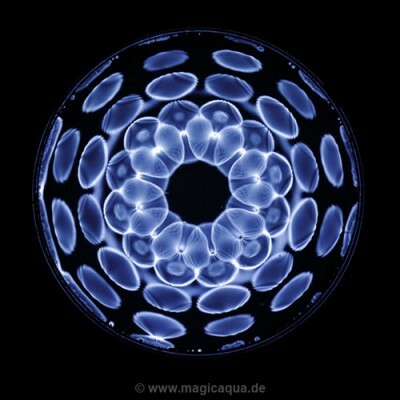 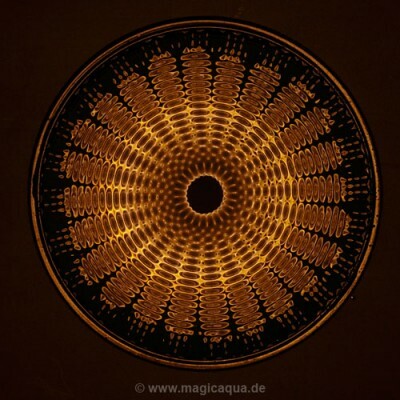 It´s the combination of the size of the waterbowl the amount of water and the amplitude of the frequency which make the images occur on the surface of the water.